I love dogs very much, but like any other pet lover I can say that they are very troublesome sometimes. That much that they can pee on your carpet of joy or…just because they want to pee there! The first time this happened, I went to the pet shop and bought a special cleaning solution that was extremely expensive! Did it have any effect? Yeah … but I had to use almost all the bottle to get rid of pee stains and smell. Fortunately we found a more efficient and accessible way! You only need 2 ingredients found in each house: hydrogen peroxide and dishwashing detergent. Just mix these 2 ingredients in a container and start cleaning! Wash the stains with the solution using a brush, and then let it work for about half an hour. 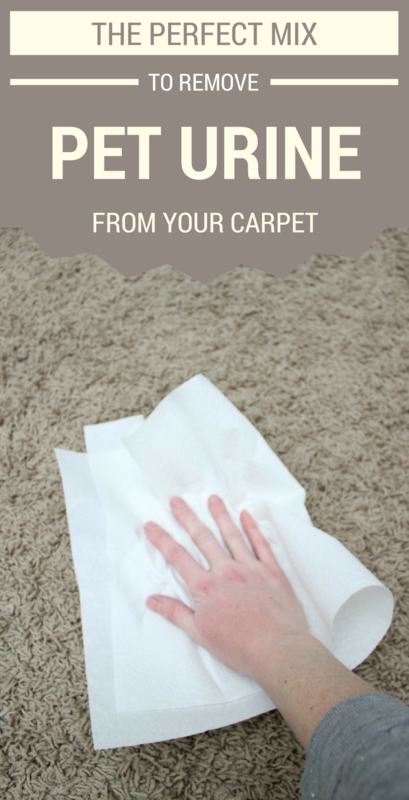 Now use paper towels to absorb moisture without removing the solution completely. After drying, vacuum the carpet. Ready! The difference is visible!